Lightweight durable aluminum with matte-satin finish that resists stains and tarnishing. * Features 1/16" graduations on the 90° angle. 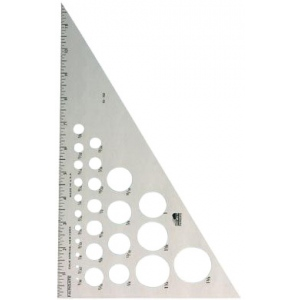 * May also be used as a template for circles from 1/16" to 1 3⁄8" (1/32" to 31/32" on 6" and 8" triangles).